February 14th has not always been the way it is now. It used to be worse. During the Roman festival of Lupercalia, drunk, naked men hit women with the skins of recently sacrificed animals in a raucous fertility ritual. The women were then paired with the men who beat them, and the couple’s fertility was put to the test. What did St. Valentine have to do with this? Absolutely nothing. Valentine was, historians believe, a Christian priest who lived near Rome during the time of Emperor Claudius II, a sworn enemy of the faith. In fact, there were two Christian priests named Valentine, living around Rome at the same time, and Claudius had them both put to death on February 14, during Lupercalia, though not in the same year. It is possible the stories of the two Valentines, executed under Claudius, have been conflated, and that St. Valentine is really an amalgam of both. According to one tradition, Valentine had won the emperor’s admiration, but lost it – and his life – by trying to convert Claudius to the faith. The emperor was so outraged by Valentine’s unwanted evangelism, he ordered a three-part execution: beating, stoning, and beheading. Whether or not our current traditions can be traced back to a third century saint is debatable, but there is little doubt they can be traced back to medieval and Renaissance poets. It was during the age (one might almost say, the “cult”) of courtly love that Valentine became an A-lister among the saints. When Geoffrey Chaucer linked the saint to romantic love, Valentine’s popularity soared. Shakespeare added to his fame in Hamlet, with a song about a girl who lost her virginity on Valentine’s Day. Because of a line in Chaucer’s poem “Parlement of Foules” lovers in the royal court began sending each other handmade paper cards on Valentine’s Day. In eighteenth century England, the practice of sending cards signed, “from your Valentine,” expanded well beyond the court. But it wasn’t until 1913, when Hallmark saw the commercial opportunity the holiday afforded, that Valentine’s Day became a hotbed not of love but of profit. 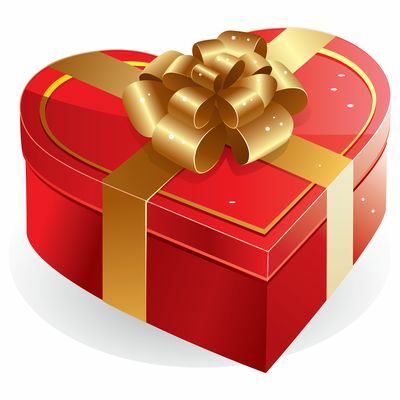 Analysts estimate that Americans alone spent over 18 billion dollars on Valentine’s Day last year. This entry was posted in In the News, Lifestyle and tagged Chaucer, courtly love, Emperor Claudius II, February 14, Hamlet, how much Americans spend on Valentine's Day, love languages, Lupercalia, Ophelia, Parlement of Foules, Romans 12:9, saints, Shakespeare, St. Valentine, Valentine's Day. Bookmark the permalink. I enjoyed this very much. Thank you! I’m so glad you enjoyed it. Thanks for taking the time to share the encouragement! I used to be an operator for Western Union, and I would type telegrams as customers dictated them to me. An elderly female coworker always chose Valentine’s Day as a vacation day because she just couldn’t tolerate the telegrams people would send on that occasion. I don’t have any recollection of those indiscrete messages, but I’ve never forgotten my coworker. The fact that she always scheduled February 14 as a vacation day every year showed both foresight and a strong distaste for semi-public displays of affection! That’s a great story, Ron. I can think of an alternate explanation though: Valentine’s Day was the busiest day at Western Union, and the best day to be absent.